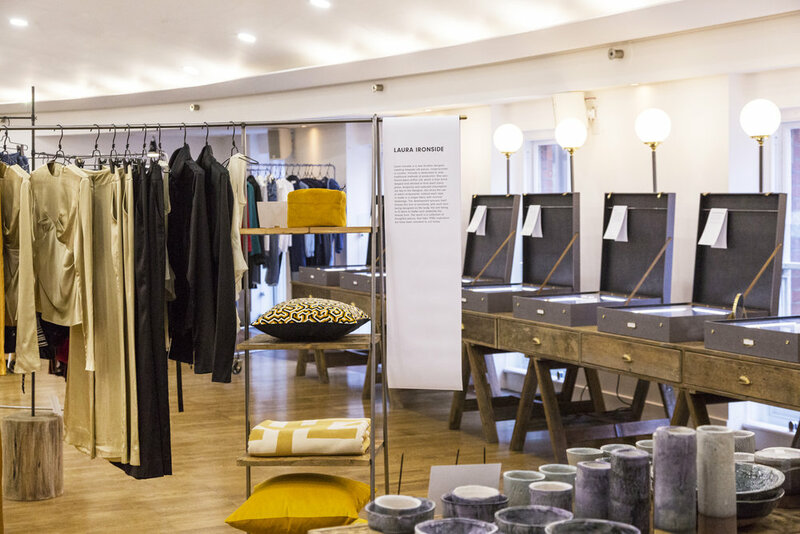 One Nine Eight Five is an ethical homeware brand dedicated to creating British manufactured goods. 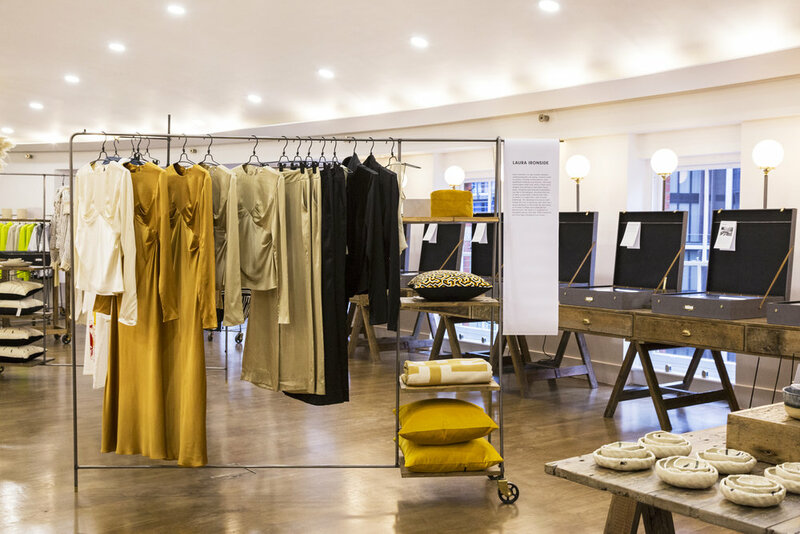 The brand is recognised for their innovative prints and colour combinations, offering seasonal collections of cushions, throws, wall hangings and accessories inspired by film, art and fashion. We thought the pieces were perfectly matched with our EDIT-01 collection. The brand also offers a capsule collection entitled Women Collection, of which a portion of profits are donated to Beat. The UK eating disorder charity raises awareness about the pressures of our society and supports young people who are growing up under the distorted gaze of social media. It was wonderful to discover Hanna and her stunning collection at Harvey Nichols. Hanna Fiedler is a London-based womenswear brand, born out of the desire for honest luxury and a wardrobe of effortless and timeless pieces. Founded by Amanda Saurin, this small batch distillery creates natural scents, creams, aromatic waters and balms from flowers, bark, leaves, roots, blossom and moss that they grow or pick wild in the fields, mountains and gardens of Sussex, Cyprus and Scotland. How wonderful does that sound?! For Amanda, the focus is on utilising her knowledge of plant therapeutics, flower oils and the positive psychological benefits of scent to inform her blends, enabling products to effectively rejuvenate the skin, while soothing the emotions. I met Amanda back in October last year at the first Maiyet pop-up and she is just as inspiring as you’d imagine! Mashu is a London-based vegan, sustainable and ethical handbag brand. Founder, Ioanna Topouzoglou is committed to working with unconventional vegan materials that don’t harm the environment or its inhabitants. Born in Athens, Topouzoglou’s bags are thoughtfully designed in London and then created by expert Greek artisans, an effort to enrich the local economy and promote her country’s craftsmanship. She has further developed a cradle-to-cradle design system, partnering with local companies to incorporate their wooden offcuts while also utilising byproduct materials such as Piñatex. All Mashu bags are cruelty free, using sustainable and recycled materials as well as toxic-free solutions. The Maiyet Collective concept has been a wonderful thing to be a part of. We hope platforms like this show the beginning of a new vision for the future of retail and for the future of the fashion industry. Read more about our slow fashion approach.